Winter not only brings us white fluffy snow for sledding and skiing but it can also bring ice dams thus causing roof damage. 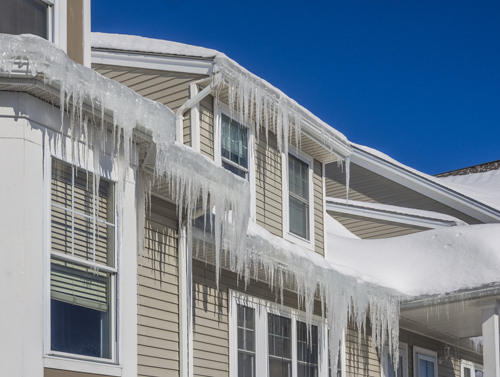 The destructiveness of ice dams comes from the fact that they trap the snow and melted ice, preventing it from draining off your roof allowing the water to soak into your roof and get into your home, causing interior damage. As snow melts on your roof, the water/runoff flows to the edge or to the roof’s low points. Near the roof edge (the eaves) your roof is colder, so the melted water re-freezes. Over time, a “dam” builds up, blocking water drainage. The backed-up, pooled water then sinks into the roofing and damages your home. There are a few simple things you can do to protect your home this winter. Use a snow rake (or roof rake) to remove accumulated snow. Removing the snow before it has a chance to melt will keep it from running into your gutters where it could refreeze and could break off causing exterior roof damage. Keep your roof cool with energy efficient home improvments. Proper insulation of your attic can keep het from rising and warming the roof surface which melts the snow. 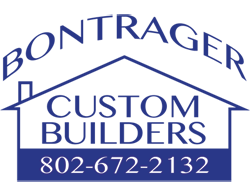 Call us today if you are unsure of your homes energy efficiency and we can help keep you and your home happy this winter!